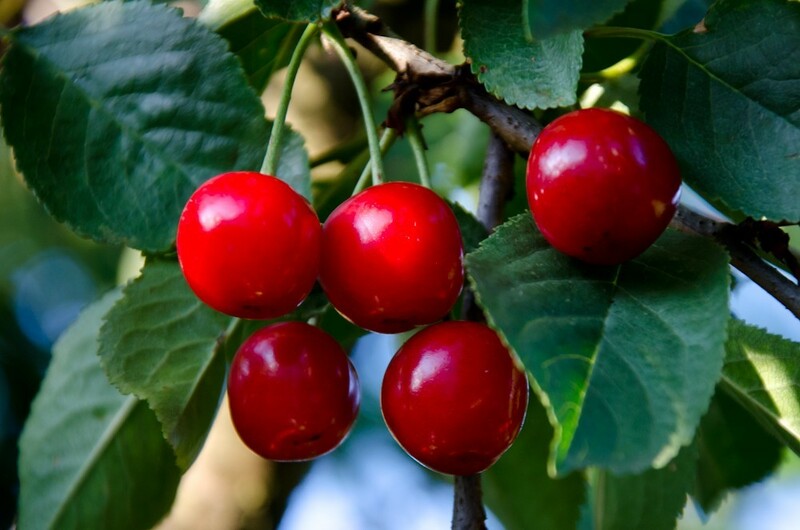 You might guess from this title that cherries are my favourite fruit; as they are, jammed, cooked in a clafouti, made into ice-cream, even cherry flavour sweats. This year a very sick tree in the back garden managed to produce a kilogram of the most delicious sour cherries I’ve ever had. I made them into jam (which won a first in the local show) which is amazing on toast or swirled into plain yogurt or spread over a chocolate cake. Sadly the tree had to be removed because it was completely rotten in the core and branches had broken off in the past. RIP cherry tree.